Kottayam Thirunakara Temple and Arattupuzha temple are two famous temples in Kerala, each of which plays host to an elephant festival annually. While the 10 day festival at Thirunakara Temple witnesses procession of 22 elephants on each day of the festival, Arattupuzha Pooram festival is marked by a spectacular procession of 61 elephants accompanied by temple percussions. Out two week long ‘Elephant Festival in India’ will make you witness the pomp, panache and elegance of these two festivals. Also included in the itinerary is the visits to Kovalam beach, Alleppey backwaters, Munnar hill station and Periyar wildlife sanctuary. Arrive at the Trivandrum airport in the morning followed by assisted transfer to the hotel in Kovalam. The rest of the day is free to relax on the beach. You have an option of indulging in Ayurvedic massage therapies. Stay overnight in Kovalam. The day 2 is booked for a full day excursion in and around Kovalam beach. There is also an option for a half day guided sightseeing tour of Trivandrum which include visits to the Sree Padmanabhaswamy temple, Art Museum and Sri Chitra Art Gallery. Stay overnight at Kovalam beach. In the morning, hit the road to Alleppey. Upon arrival, check in at the Coir Village Resort. The rest of the day is free for individual activities. Stay overnight in Alleppey. In the morning, board the traditional houseboat (Kettuvalam) and cruise through the palm-fringed backwaters, villages and paddy fields. Stay overnight on board the houseboat. Morning arrival in Kumarakom followed by check out of the houseboat. Thereafter, board the coach and leave by road for Periyar. Upon arrival, check into the jungle resort. 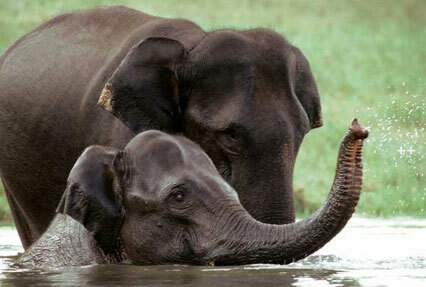 Later in the afternoon, enjoy boating on the Lake Periyar and witness the exquisite wildlife. 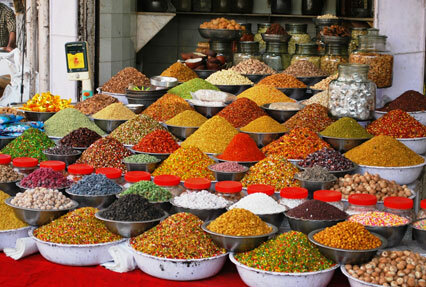 The evening is booked to explore the Kumily Spice Market. Stay overnight in Periyar. In the morning, leave by road for Munnar. Upon arrival, check into the hotel for overnight stay. The rest of the day is free to rest and relax. Stay overnight in Munnar. The day 7 is scheduled for the sightseeing tour of Munnar. The places you will visit here include Mattupetty Dam, Dairy Farm, Old Munnar Town and Eravikulam National Park. Stay overnight in Munnar. In the morning, leave by road for Kumarakom. Upon arrival, check into the Lake Front Resort. The rest of the day is free to relax. Here you have an option to go for fishing (special arrangements will be made), swimming and rejuvenate through Ayurvedic massages. Stay overnight in Kumarakom. In the morning, go out for a guided sightseeing tour of churches and nearby villages. The afternoon is free to relax and do individual activities. 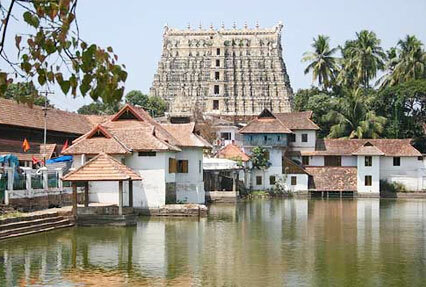 In the evening, go out to explore the famous Kottayam Thirunnakara Temple to see the festival preparations. Dedicated to Lord Shiva, this festival takes place in the month of March-April. Stay overnight in Kumarakom. In the morning, leave by road for Thrissur. 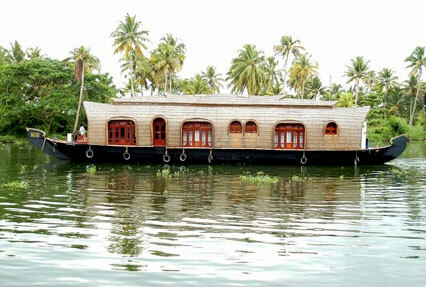 On the way, enjoy a boat cruise at Vaikom and explore the lifestyle of locals in Kerala. You can see and learn the local art such as pottery, khadi weaving and extraction of coconut oil. Later, enjoy a delectable traditional Kerala lunch served on a banana leaf. Post lunch, drive to Thrissur. Upon arrival, check into the hotel for overnight stay. The day 11 is scheduled for you to witness the Arattupuzha Pooram at Arattupuzha temple. Arattupuzha Pooram is a spectacular procession accompanied by temple percussions. A total of 61 elephants partake in this event. Stay overnight in Thrissur. In the morning, leave by road for Cochin. Also visit Palayoor and Kadakallu (umbrella aristocratic households). Stay overnight in Cochin. For the next two days, you will explore the popular tourist attractions in Cochin which include Jewish Synagogue, St. Francis Church, Mattacherry Palace and Chinese Fishing Nets. Being a seaport, Kochi was an important trade center for Indian spices in medieval times. On the evening of the day 14, you will attend a fair. Stay overnight in Cochin. Today, check out of the hotel by 12:00 Am and drive to the Cochin airport to board flight back home.